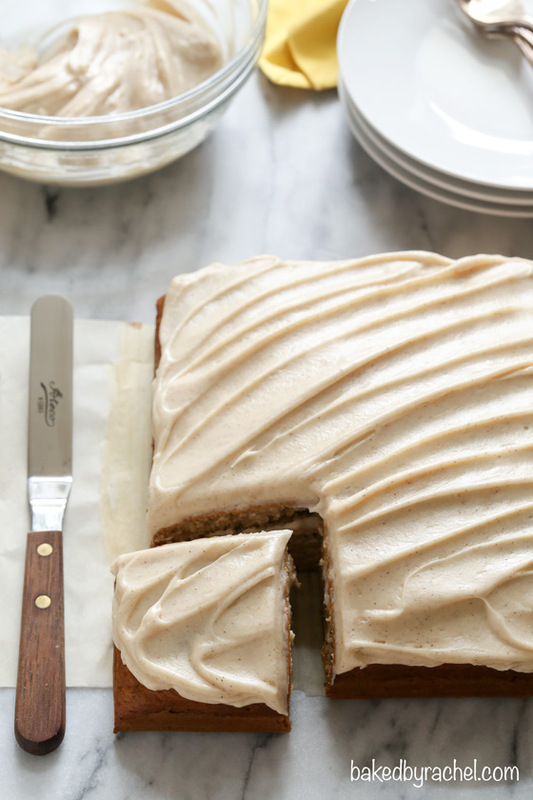 Moist banana yogurt cake, topped off with cinnamon-brown sugar cream cheese frosting! The only banana cake recipe you’ll ever need! I know I’ve been all but begging for the warmer weather to stick around. I’m tired of it being cold. BUT, I’m also not ready for the bugs. The dreaded May flies will be making their appearance soon. So. Completely. Not a fan. And today, we had our first tick visit. It’s just too soon. Sometimes we manage to go an entire season without having any show up on the kids or make their way into the house. I’m not sure if this is a bad sign of things or not. Hopefully that’s the one and only we’ll see this year. I had no idea Orphan Black was starting back up this week until I saw a preview recording on our DVR. Which, I haven’t watched because I don’t want any sneak peeks. I am super excited though! I feel like it’s been forever since the last season ended. If you haven’t watched it, I highly recommend it, if you like sci-fi shows. If you follow me on Snapchat (bakedby.rachel), you may have seen a snap last week about cutting myself. Ugh. Seriously, the worst. One dumb move, not moving my hand soon enough and I managed to slice my thumb. Thankfully it wasn’t bad enough for stitches and is already closed up, but it’s a horrible way to realize just how important our thumbs really are. Doing certain things without a thumb, so much harder. And then there’s the issue of accidentally pressing down on the wrong spot and causing pain all over again. I’m eager for it to be better sooner than later. I’ll also probably change my method of cutting bagels from now on… or just stop eating bagels. This cake needs to happen asap. 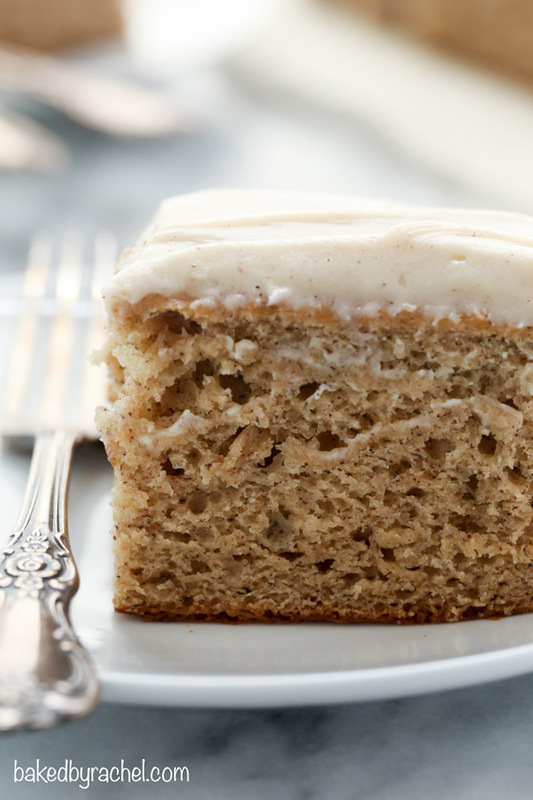 It’s seriously the most moist and flavorful banana cake… ever. And it’s SO easy. I honestly wasn’t sure if everyone in my family would like it, what with the little ones having varying preferences for food. I was happily surprised when everyone LOVED IT! That gives this cake two giant thumbs up. Easy. Flavorful. Loved by all. That’s a big win. 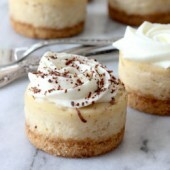 This is the absolute perfect single layer banana cake, topped off with cinnamon and brown sugar cream cheese frosting!! Grab those bananas and get baking! I promise you won’t regret it! 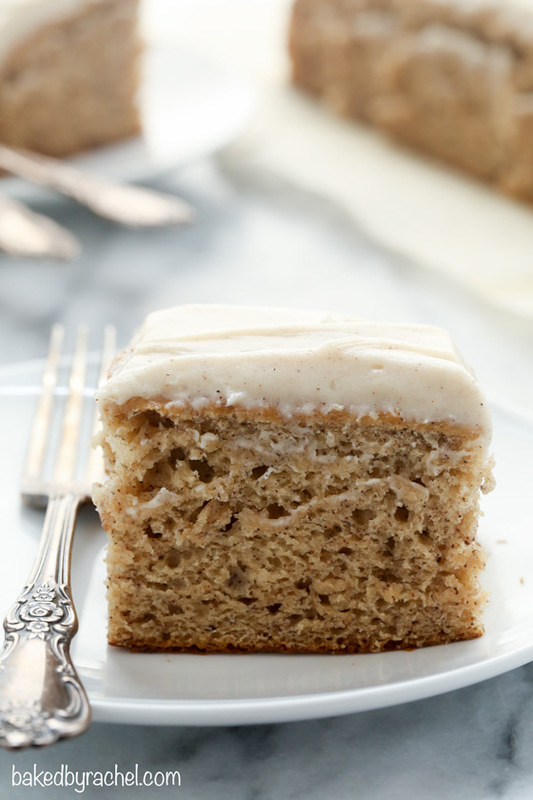 Moist banana yogurt cake, topped off with cinnamon-brown sugar cream cheese frosting! The only banana cake recipe you'll ever need! Preheat oven to 350°F. Lightly grease an 8-inch square baking pan. Line with parchment paper, leaving overhang on all sides. Set aside. In a large bowl or stand mixer, combine banana and vegetable oil. Mix in granulated and brown sugar, followed by the egg and vanilla. Mix until just combined. With mixer running on low, slowly add all dry ingredients. When batter is just combined, add yogurt. Mix until no streaks remain. Transfer batter to prepared baking pan. Use a small offset spatula to create an even layer of batter. Bake for 25-30 minutes or until golden and a toothpick comes out clean when inserted into the center of the cake. Cool in pan, set on a wire rack. When cake is completely cooled, prepare frosting. In a medium bowl, beat together cream cheese and butter until light and fluffy. Mix in cinnamon and brown sugar, followed by powdered sugar. Spread on cake with an offset spatula. Slice and serve. Store remaining cake in an airtight container for up to several days. Banana cake is too good to resist! 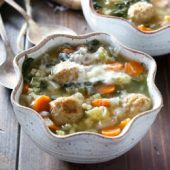 I don’t make it nearly as often as I should but I need to make this recipe soon. I love the brown sugar frosting! Ugh cutting my finger is one of those things that really ticks me off (no pun intended regarding your ticks) ;-). It’s one of those stupid things that just annoys me because you look back on it and think how easily it could have been avoided. This banana cake looks so light and tender and that cream cheese frosting sounds bowl licking good! Haha! And yeah it’s just so dumb because it could’ve been avoided. Oh well! And thank you! Ouch! Sorry to hear about your thumb. I’ve been there, done that. . .so I know how incredibly painful and limiting it can be. I’m with you on Orphan Black. . .it seems like eons since I last watched that show. Once the Mr. gets back from Shanghai. . .we’ll definitely have to catch up. And how lovely would it be to binge watch will devouring this dreamy banana cake? I just want to scoop up some of that frosting and go to town with it. It really does feel like it was SO long ago that we last watched it. I’m super excited to start up again! And thanks so much, Lynn! Happy to say they have made bagel holders, really works well, enjoy! I had one, or maybe still do, but I’ve found that they squish them while slicing. Thanks for the suggestion though! Question- Whats the purpose of the yogurt. I want to do this now, but have no yogurt and I can’t go get any any time soon. Can I do this with out it? Your cake will not have the proper consistency or be moist enough without it. If you have sour cream, you could try substituting that. Otherwise, I’d suggest waiting until you can get all of the ingredients. Arg! I got attached by flies the other day. Just like you I was so excited to finally be outside and then that happened. Love the cake, the frosting sounds like the most perfect topping. 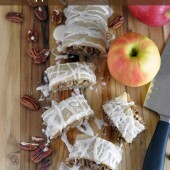 I have a bunch of bananas in the freezer that would totally be perfect for this! This looks amazing!! I have a coworker’s birthday coming up and she likes banana chocolate chip cupcakes and cream cheese frosting – do you think this cake would be good with chocolate chips mixed in? This just looks so good I would love to try it but don’t want to ruin it haha thoughts? Hi I have a question! So, I made two of these since I had a lot of bananas & well I was thinking of bringing one to my friend! I made it 2 days ago & stored it in the fridge frosted already but the cake/frosting is hard from being in the fridge! Would i have to let it sit out for a few hours before bringing it over to her? & could the slices be warmed in the microwave? I was thinking of maybe making some new frosting alone and frosting it again, or will that one on it already taste fine once at room temp and would the cake taste fine too? If you bring it to room temperature the frosting will soften. I definitely wouldn’t recommend microwaving it as it will cause the frosting to melt. Excellent cake! I made it today and both my husband and daughter loved it. This is a winner…thank you!